Brisbane South PHN is committed to commissioning specialised services that improve the health and wellbeing of our most vulnerable communities. Evidence shows that access to specialist alcohol and drug (AOD) treatment, improved coordination of care and increased early intervention for people with problematic substance use delivers positive impacts for the individual, the health system and the community. Brisbane South PHN recognises the challenges faced by individuals experiencing harm from problematic substance use, and the people who support them. Primary Health Networks (PHNs) are funded by the Department of Health to commission services that address prioritised population primary health care needs within localised communities. A comprehensive range of services have been commissioned by the Brisbane South PHN to provide AOD treatment across the region. Services available within the Brisbane South region include counselling, support and case management, specialist parenting programs, brief intervention, information and education, facilitated group programs and non-residential treatment options. Additionally, the Brisbane South PHN supports workforce development and capacity. If someone has attempted or is at immediate risk of attempting to harm themselves or someone else, call triple zero (000) immediately. The Institute for Urban Indigenous Health (IUIH) deliver culturally appropriate mental health, alcohol and drug treatment services and suicide prevention programs to the local Aboriginal and Torres Strait Islander population in the Brisbane South PHN region. IUIH operates through a partnership of community service providers, including the Brisbane Aboriginal and Torres Strait Islander Community Health Service (ATSICHS) and Inala Wangarra to optimise the physical, mental, spiritual and cultural wellbeing of Aboriginal and Torres Strait Islander people in Logan City and Inala. 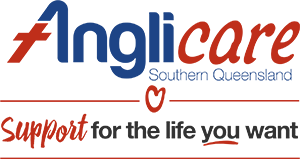 Gallang Place delivers healing services through its existing local centres in Inala, Beenleigh, Beaudesert, Logan and the Bay region in addition to outreach healing services. The AMEND program provides, per annum, 18-sessions of a CBT based Relapse Prevention and Parenting Enhancement (RPPE) program in the home to pregnant and parenting women who experience problems related to their substance use or dual diagnosis. The program is also able to provide support and referral to immediate family members in order to maximise outcomes for women and their children. The program delivers harm reduction education & information sessions and brief intervention. The Caring for Kids (CFK) program delivers up to 18 sessions of trauma and attachment informed counselling, support and referral to children and young people aged 0-18 affected by a parent’s or significant other’s substance use per annum. Services may be delivered individually or in a group setting. The program has a strong attachment parenting focus for children under the age of 4. In addition, the program delivers consultations, seminars and presentations to other agencies and professionals each year to build capacity of other service providers. Services are delivered to women and children residing within a geographical area stretching from Burpengary to Waterford West (inlc. Deception Bay, Redcliffe, Wynnum, Browns Plains, Boronia Heights, Wacol, Carole Park) and on the Gold Coast from Runaway Bay to Coolangatta (incl. Mudgeeraba, Pacific Pines, Gaven etc). The CAFSS program provides a structured brief intervention program for individuals and their significant others in addressing substance use and related issues. The program provides referral options for people with low-moderate levels of complexity, as well as support for individuals leaving residential rehabilitation or detox facilities and on probation and parole. The program provides internship opportunities for students from a number of disciplines including psychology, social work, community services, and counselling. The program is not currently tailored to children under 16 years of age. Clients who are ineligible are referred either internally or externally to a more suitable program. Promotional materials, such as appointment cards and programs guides are available for dissemination through partners. live in the Brisbane or Ipswich catchment areas. The DO-IT program provides access to evidence-based treatment for people who have identified AOD issues at the Arthur Gorrie Remand Centre. The do-it program assists people to acquire the knowledge, skills and tools to enable them to develop a relapse prevention plan to assist them make changes in their lifestyle and drug use. Referrals are made through the Programs Officer at Arthur Gorrie Remand Centre. The CHAMP service is a continuity model of care providing specialised midwifery case management to pregnant women and their babies at Mater Mothers Hospital. It incorporates health education, interventions, support and follow-up including antenatal alcohol and drug use assessment, mental health, counselling, health education, brief intervention and other health intervention and referral. CHAMP facilitates access to regular antenatal and health checks, early interventional planning, postnatal ward contact, postnatal home visiting and postnatal baby clinic. Women can self-refer to CHAMP Clinic. CHAMP aims to reach pregnant women with current or recent substance use issues and provides relapse prevention and recovery support. Individuals under the age of 18 years are provided with brief interventions consisting of information, education and referral to specialist youth services. QuIHN works with parents and families of young people to provide support. QuIHN provides support and referral pathways for individuals who require specialist services such as legal services, mental health support, sexual assault counselling etc. Additionally, ADIS have updated a suite of clinical resources including trifold brochures and service materials (posters, flyers, business cards) with their new logo. These are available either as downloads on the website or in hard copy formats by contacting ADIS. If you’d like an order form or free sample pack, please email ADIS at adis@health.qld.gov.au. Join ADIS’s health professional mailing list, where you will be kept up to date on the latest alcohol and drug trends, services, and useful resources. QNADA has been commissioned by Brisbane South PHN to strengthen the AOD sector through the establishment of the Brisbane South AOD Collaborative and Community of Practice. A comprehensive service finder has been developed to improve referral pathways. Access to the service finder and current research and can be found on the QNADA website.